The tennis tradition at Highland Park dates back to the early 1900's, when there were 24 red clay courts on two levels. In 1998, the courts on the upper level were converted into 13 hard courts dedicated to the first 13 colonies, where each court bears the name and seal of each colony. The lower level courts were converted into a soccer field and basketball courts. Home of Highland Park Tennis Association, Highland Park straddles the borders of Brooklyn and Queens. 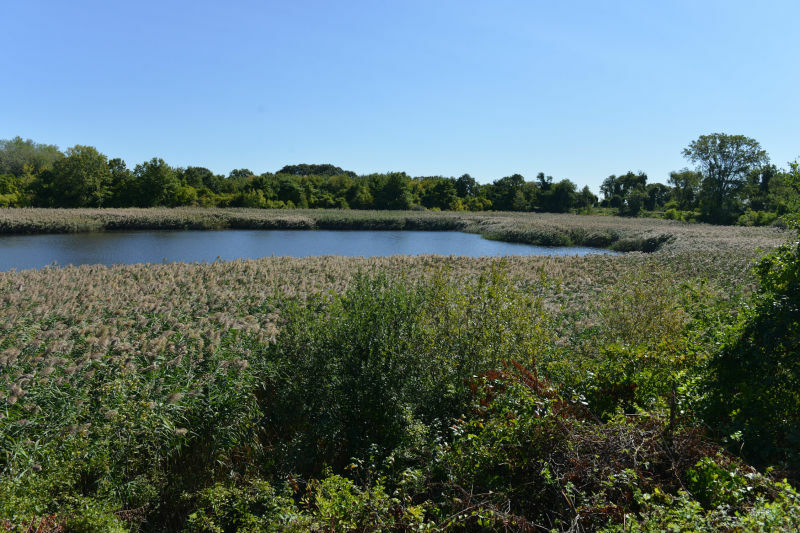 It is situated on a high plateau that commands dramatic views of nearby cemeteries, East New York, Woodhaven, the Rockaways, and the Atlantic Ocean. This tennis facility is one of New York City's best kept secrets... a hidden jewel. In 2012, the Fresh Courts initiative, a partnership between the USTA and American Express, reconfigured the 13 full-size courts into 10 full-size and 8-36 foot courts for 8 and under tennis. Additionally, the 10 full size courts are marked with 60' blended lines for 10 and under tennis. This current transformation was made possible because of the dedication and efforts of the Highland Park Tennis Association's volunteers and the Junior Tennis Program. Tennis can now be enjoyed by the entire family in this picturesque surrounding from Spring through Fall. Founder and President of Highland Park Tennis Association. In 2004, Dion saw a need in the community to engage and offer an outlet for underserved children to learn tennis, and life skills. The courts were unused, and dilapidated, but with his dedication to revamping the courts, tennis in Highland Park became a reality. HPTA has given participants an opportunity to learn the sport, a skill, and excel both on and off the court. A passionate certified USTA/PTR teaching professional who has played tennis for 28 years and teaching the game for 23 years. A member of a USTA team that made Nationals standing in the year 2004-2005. 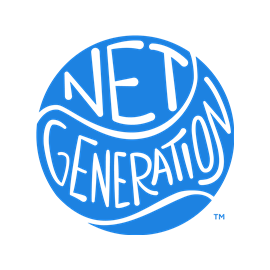 Net Generation certified to teach youths (10 and Under), high performance teens, young/middle/senior adults. He has a BA and MA in communications, also a NYC Department of Education teacher for 38 years. He enjoys attending annual professional development classes in order to stay updated with the latest changes and or additions to the game of tennis in today's world. Dependable, reliable, punctual, and a strong believer in the concepts of purpose and structure. Coaching with HPTA for the past 14 years as well as with the Harlem YMCA for the last 10 years. Evgheni Sandu - Jim - is one of the HPTA tennis coaches who help young aspiring tennis players understand the dynamics of the tennis game. In 2007 Jim started helping and coaching the NYJTL Winter program by guiding and shaping dozens of young tennis players. In 2012 Jim joined the wonderful family of HPTA staff who are dedicated to take all players to the next level of their game. Other favorite activities that he enjoys are swimming, biking, skiing and gardening. As a favorite food, the honey glazed salmon topped with crushed pistachios is on top of the list. Bill McClellan, born in Chicago 1962, became an avid tennis enthusiast since his introduction to the sport at 13 at Lane Tech High School. 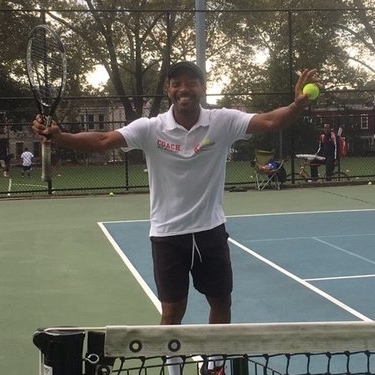 In keeping with his passion he’s played in local park tournaments and USTA tournaments here in Brooklyn, captained a USPTA team , attended Total Tennis and studied privately. He’s also had the good fortune to attend the 2013 Australian Open, US Lawn Tennis Championship and US Open. Bill believes in the unending learning opportunities the game provides and hopes to help inspire and challenge the children of HPTA to win at Tennis and at the game of Life.